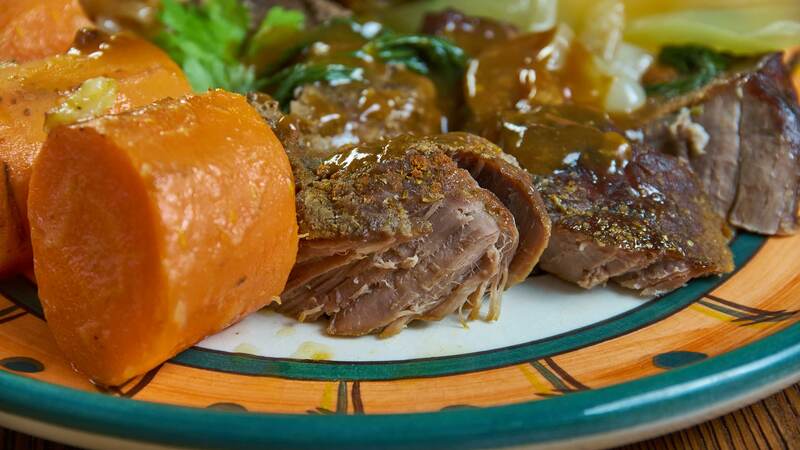 Cut roast in half; place in a slow cooker. Sprinkle dried thyme on top of roast. In a bowl, combine soup, wine and onion; pour over roast. Cover and cook on LOW for 8 to 9 hours or until meat is tender.